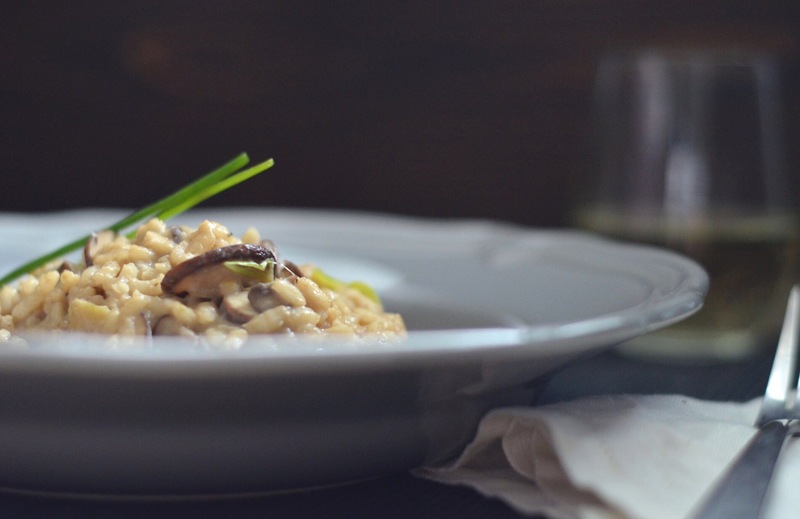 A risotto is a northern Italian rice dish cooked in a broth to a creamy consistency. Typically, you can use meat, fish or vegetables for the broth. Risotto recipes can also call for the use of butter, wine, onion or parmesan cheese. Italians usually serve risotto before the main course. Getting mushroom risotto right the first time is always a challenge, and it’s very frustrating when you don’t. I wonder what Chef Gordon Ramsay would think about my mushroom risotto. Being a perfectionist, I can understand why Chef Gordon Ramsey always upset on his show. On Hell’s Kitchen, he’s always shouting about the fish, the Beef Wellington or… the Risotto! Well, I happen to love my mushroom risotto, thank you very much! Delicioso Risoto de funghi!